I already had IPv6 through Freenet6 – as I detailed in my previous IPv6 post here so I began the IPv6 certification program, and ran through the first few basic levels. 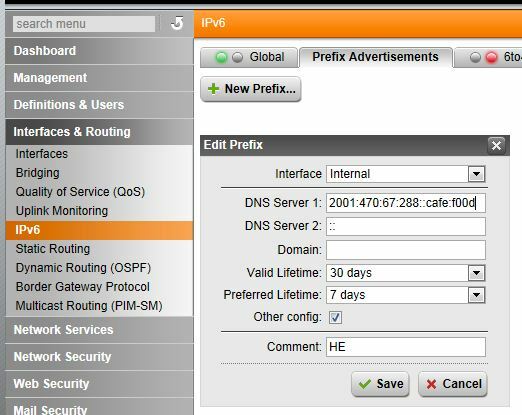 This got me to the Administrator level – anyone with IPv6 connectivity can easily get here – simply have a reachable IPv6 website & mail server. This is where the fun came in. To get to the next level (Professional) – I needed a working reverse DNS entry for my mailserver. Now while this sounds simple – freenet6 doesnt appear to provide an easy way to configure reverse DNS entries for the IPv6 range they provide you – bummer. I had exhausted my energy trying to setup reverse DNS with Freenet6, so off to Hurricane Electric I went – seemed a logical choice considering I was doing their certification anyway. Signup was simple & within minutes I had a new IPv6 allocation. They initially allocate a single /64 – but once you have enabled your connection – you can request a /48 – which of course I did. So – now that I have a new allocation, here is how I configured it on my network. 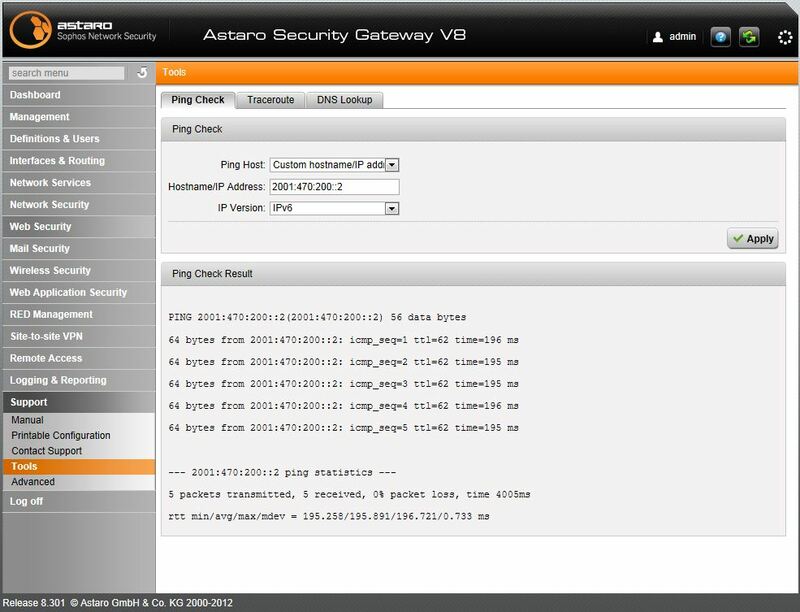 In Astro: Interfaces & Routing -> IPv6 (Click Enable) then from the Tunnel Broker tab, simply enter your tunnelbroker.net username & password. Minutes later, the /64 range on your tunnelbroker.net account page should appear in the global tab. I decided to use the inital /64 I was allocated as the range for my Internal hosts, and then break up the /48 into subnets for other zones. By far the easiest way to use IPv6 is let the “Stateless Auto Configuration” work its magic. 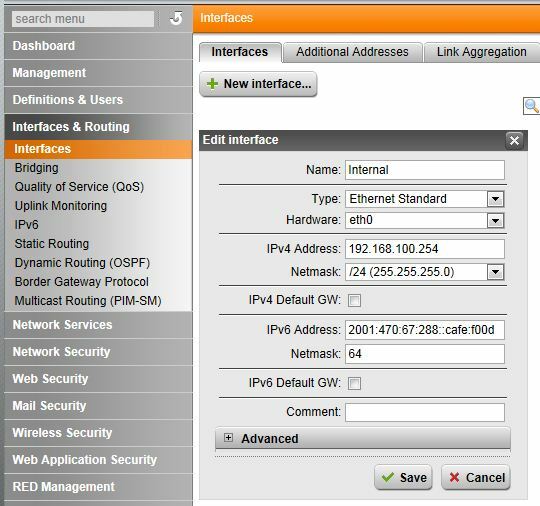 It doesnt require DHCP, allows hosts to automatically find the router & get an address – pretty much works as it says on the box. Simply add an IPv6 address to the FW interface you want to run IPv6 on, then advertise the subnet out. Suddenly your internal hosts will be getting IPv6 addresses & will be EXTERNALLY REACHABLE <— This is important. 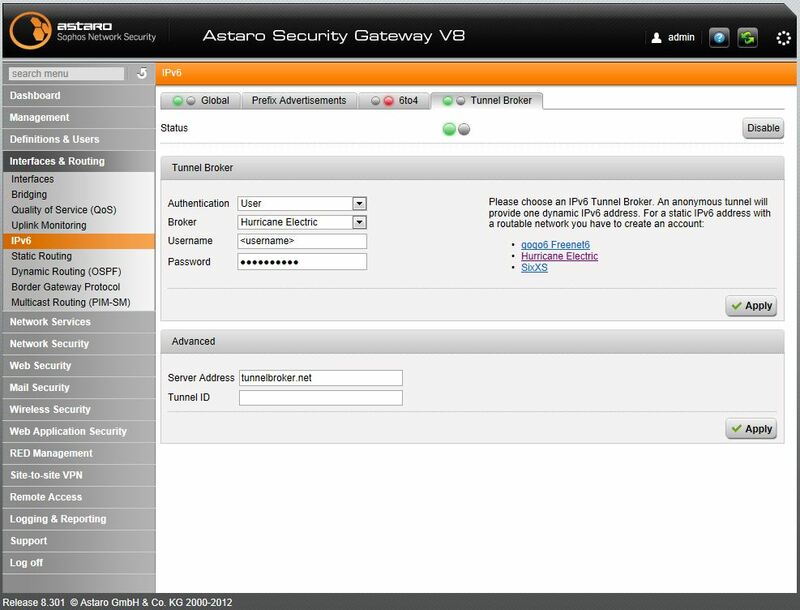 Make sure you setup your firewall rules, host protection etc etc. I will not cover this step, but you need to ensure you understand that as soon as your box has an IPv6 address – it is publically routable from the outside world. Repeat the addition of an IPv6 address (from another /64 subnet – broken up out of your /48 you requested from tunnelbroker.net) to the DMZ interface(s). I am not enabling the “Stateless Auto Configuration” on my DMZ segments, I am just manually assigning addresses to the couple of boxes in there. Right – that covers the move to Hurricane Electric & how to re-address the internal & DMZ segments. Next steps are re-addressing my public web & smtp server, updating the DNS forward & reverse zone entries – and what is needed to complete the rest of the certification.